Israeli air strikes on Wednesday hit Syrian army positions in the southwest of the country near the occupied Golan Heights, state news agency SANA said. [post_ads]"The aircraft of the Israeli enemy launches a number of missiles at several army positions" in the southwestern province of Quneitra, causing material damage, it said. 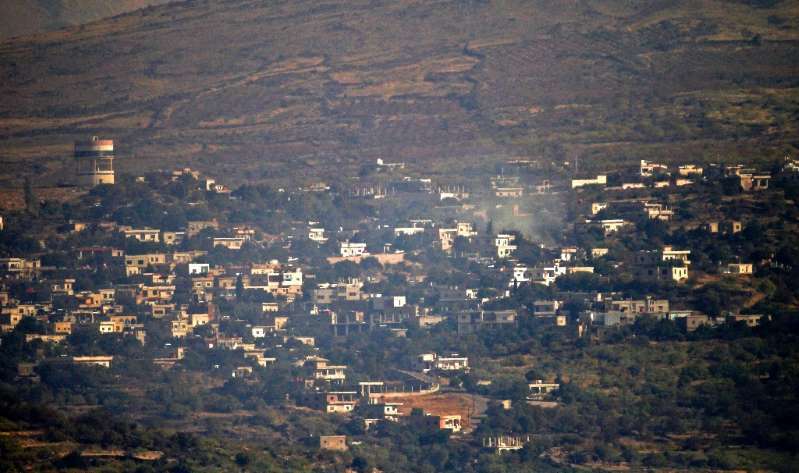 "Missile strikes hit the area of Hadar in the north of Quneitra, and others hit positions of the regime forces and their allies near the Baath town and Jaba village," the monitor said. There were no immediate reports of casualties, it said. Earlier on Wednesday, Israel fired a Patriot missile to intercept what initial findings showed was an unarmed drone that may have been on an intelligence mission, the Israeli army said. It was not clear if the unmanned aerial vehicle had strayed across Syria's ceasefire line with Israel unintentionally. Israel has been on alert in recent weeks over fighting in the south of neighbouring Syria, warning that ceasefire lines between the two countries must be respected. Israel is particularly worried about the presence of Damascus ally Iran next door in Syria. Damascus has set its sights on ousting rebels from Quneitra and the adjacent Daraa province, where Syria's uprising started in 2011. The regime has retaken more than 80 percent of Daraa province since June 19, after a bombardment campaign and deals with the opposition.